From all of us at Calvary, wishing you the warmth, hope and happiness of Christmas. Each year our Christmas message features an image that celebrates hope and joy for others. 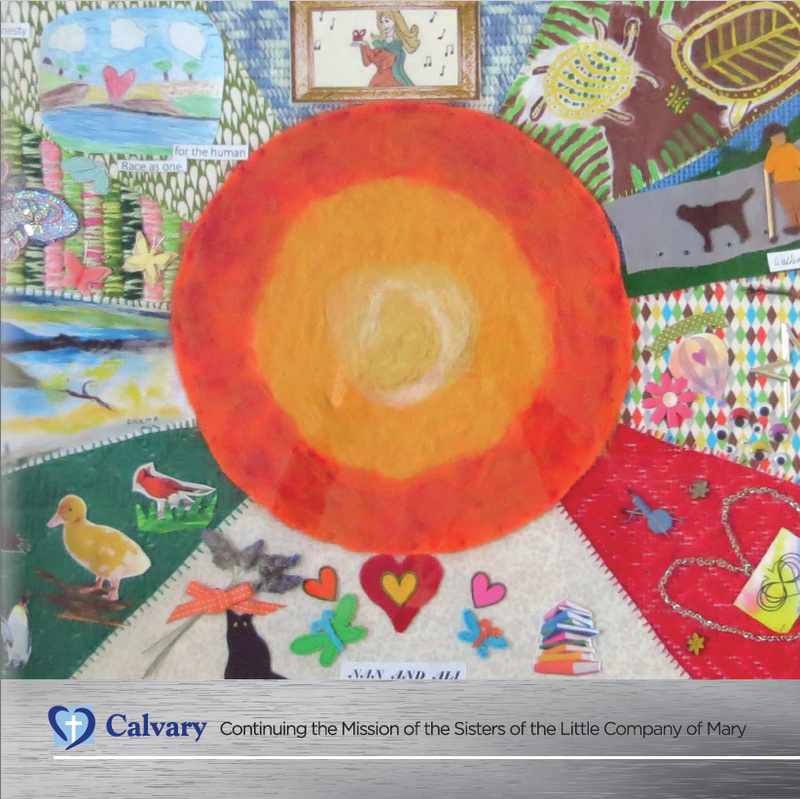 This year we feature a mixed media artwork collaboratively produced by Calvary Health Care Bethlehem’s Friday art therapy patient group. The theme represents things that make each patient happy, radiating from a central sun of warmth, light and hope. Christmas celebrates the hope, light and life that comes to us in Jesus’ birth. The sun of justice arises in our midst with healing in its wings, promising that the darkness is overcome. The rich work, featuring collage, needlepoint, felting and painting, was awarded 2nd prize in the Arts, Crafts and Cooking competition at the 2016 Royal Melbourne Show. Join our 12,000 diverse, compassionate and dedicated staff who aim to make a difference in the communities we serve.